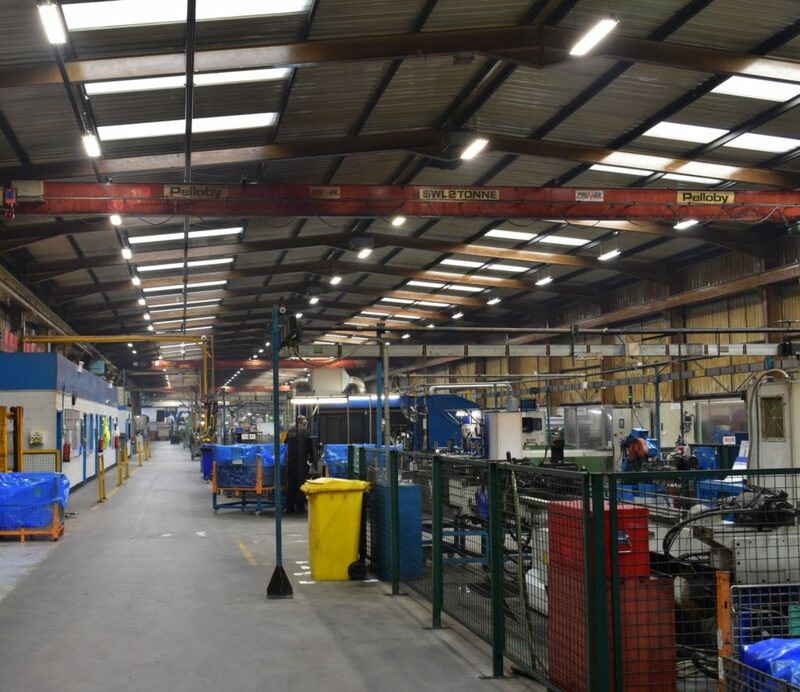 Ecolighting UK has recently installed new LED lighting at the Voestalpine Rotec warehouse facility in Hinckley, upgrading the company’s previous systems to one of Ecolighting’s most popular fittings. 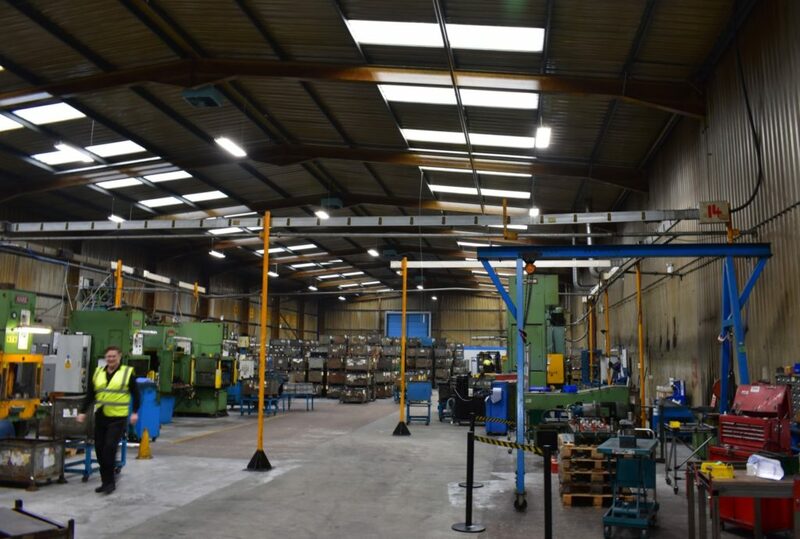 The workshop and production areas have been fitted with Ecolighting’s Pegasus LED lighting, which also replaced the incorrect underperforming LED luminaires. Following a successful previous project in Voestalpine’s rear warehouse facility, Ecolighting installed 113 high bay fittings with its industry-leading LED technology. Voestalpine Rotec, based in Hinckley, Leicester, offers complete tubular solutions to the automotive industry, with products ranging from simple bush tubes to complex assembled parts. Its extensive knowledge of tube processing and manipulation allows the team to support customers from the design and development stage of a project through to high volume production, utilising the latest technology and manufacturing methods. All have a colour temperature of 4000K, a colour rendering of RA80 and have an efficiency of 166 lumens per watt. The large number of LED power outputs means that the Pegasus luminaires can be tuned to any high bay application and further versatility is offered in the options of 15, 30, 40 and 120-degree beam angles. Pegasus can also be specified with a programmable photocell and PIR to control lighting according to people in the building, or DALI dimmable which allows programmable integrated daylight harvesting with occupancy sensors for the greatest energy savings.